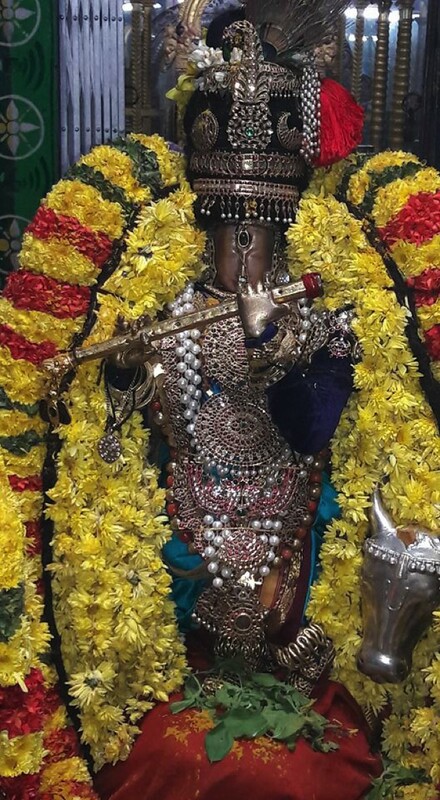 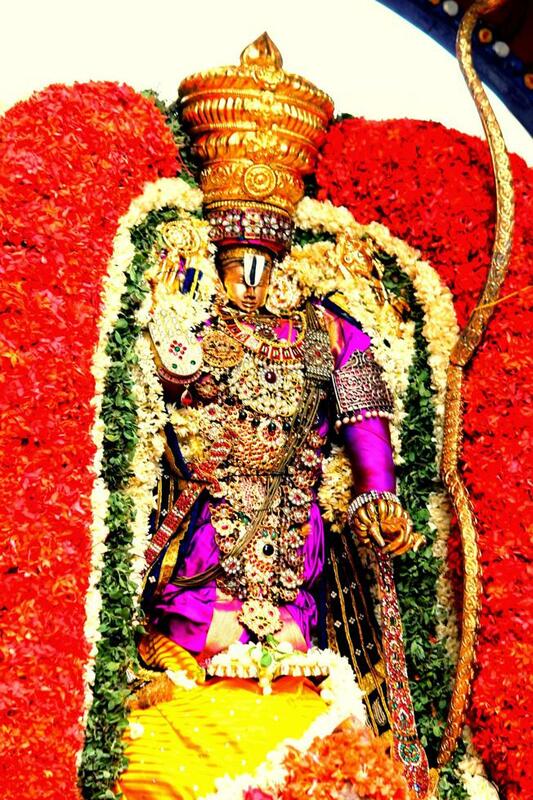 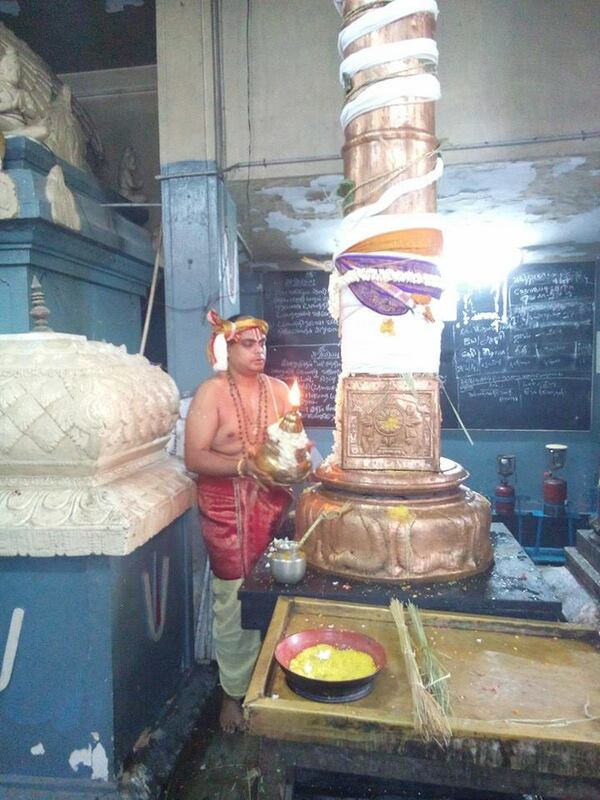 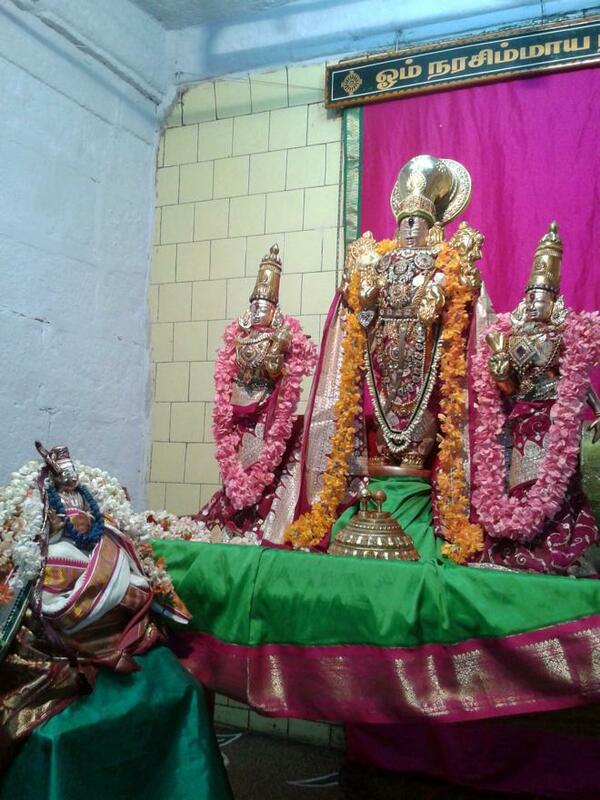 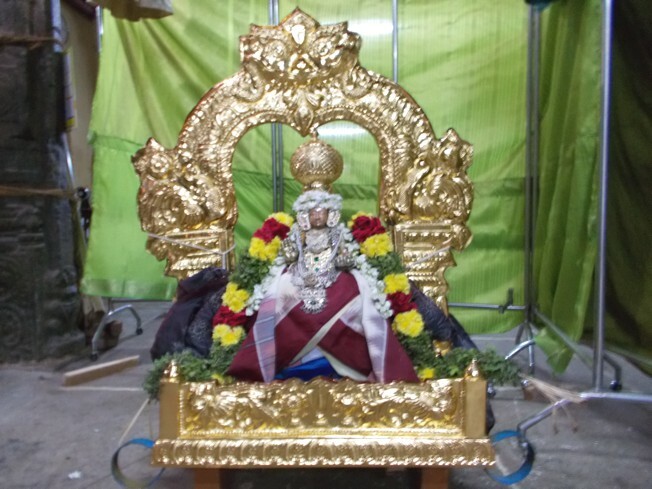 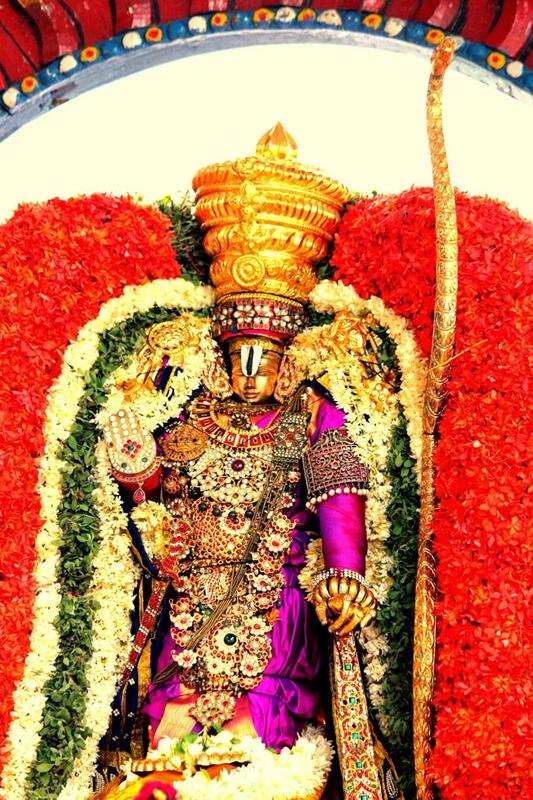 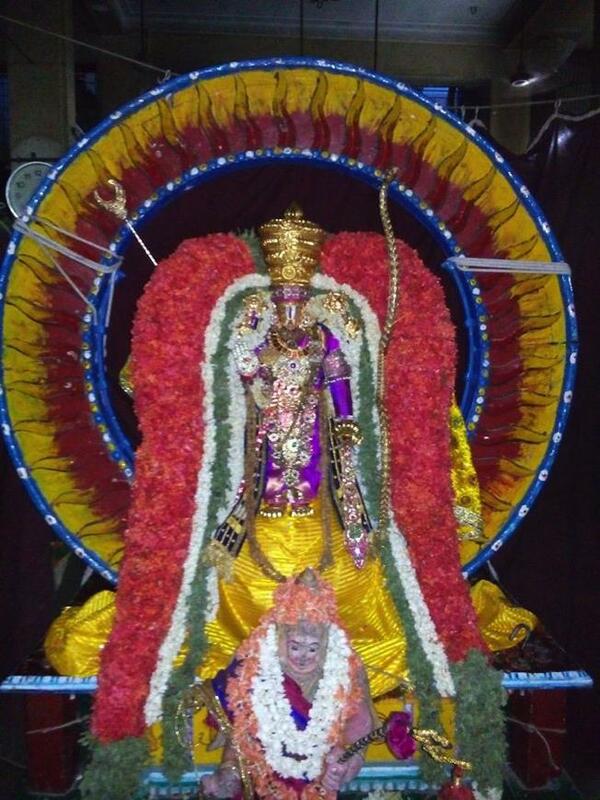 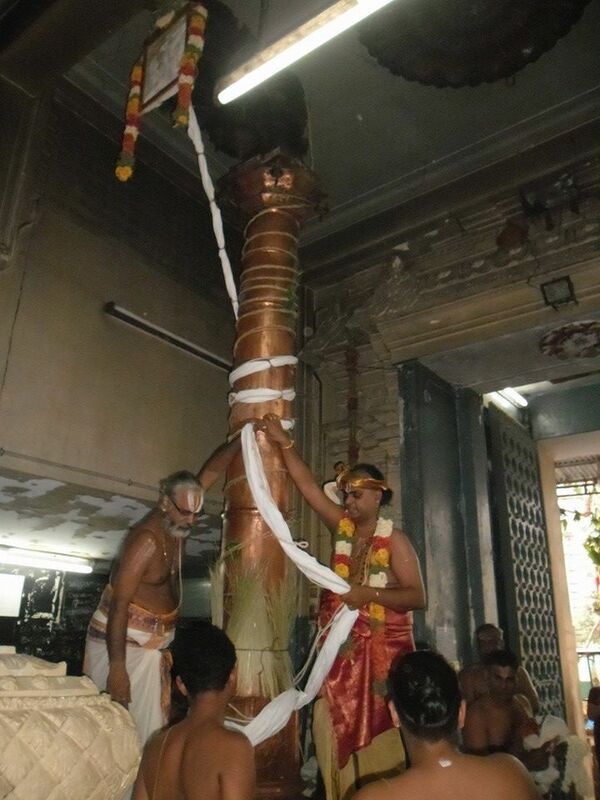 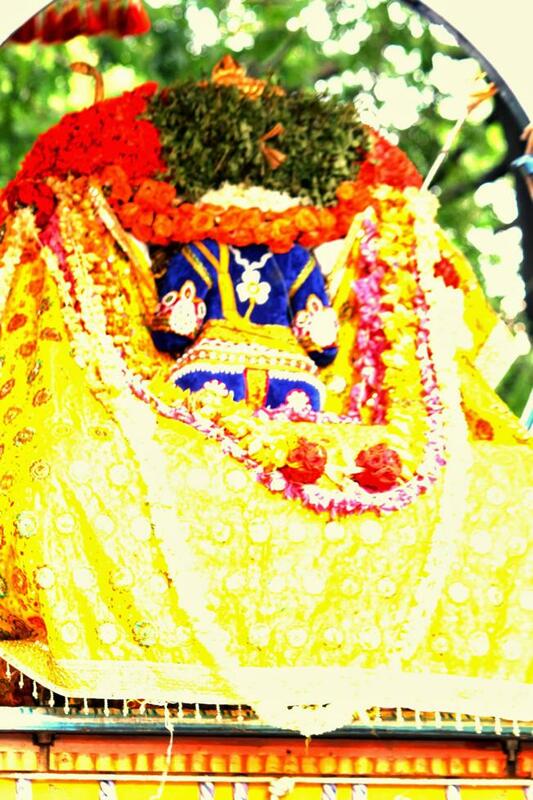 Today, June 30, 2014; Jaya Varusha Aani Poosam, Day 2 of the ongoing Aani Brahmotsavam is being celebrated at Sri Sathyanarayana Temple, West Mambalam, Chennai. 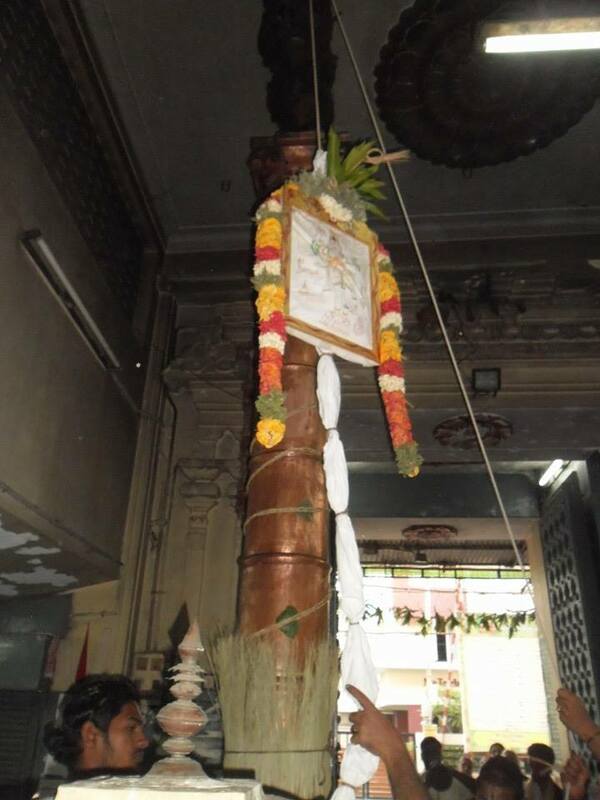 In the morning, Perumal had purappadu on Surya Prabha while in the evening purappadu will take place for Perumal on Chandra Prabha. 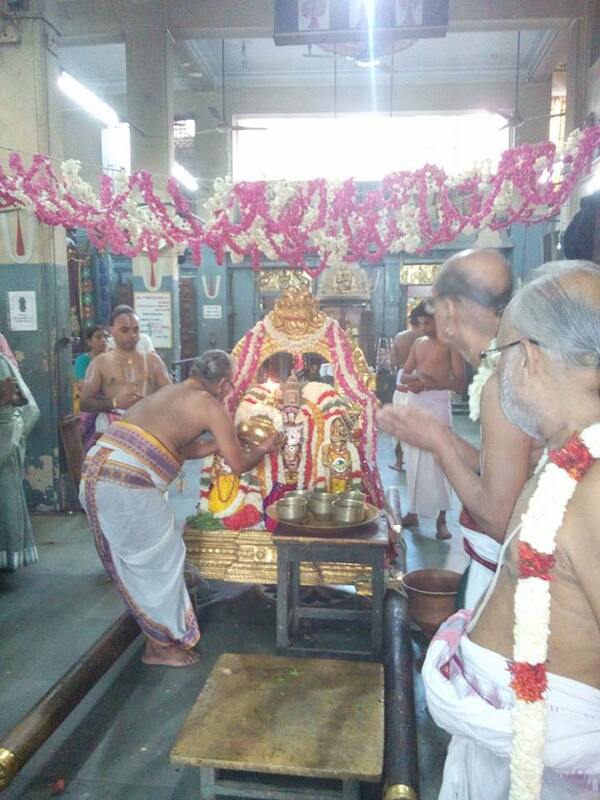 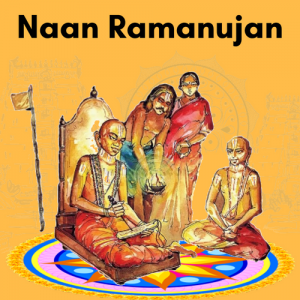 On Day 1, Dwajarohanam took place well in the morning followed by purappadu on Thanga Kedayam. 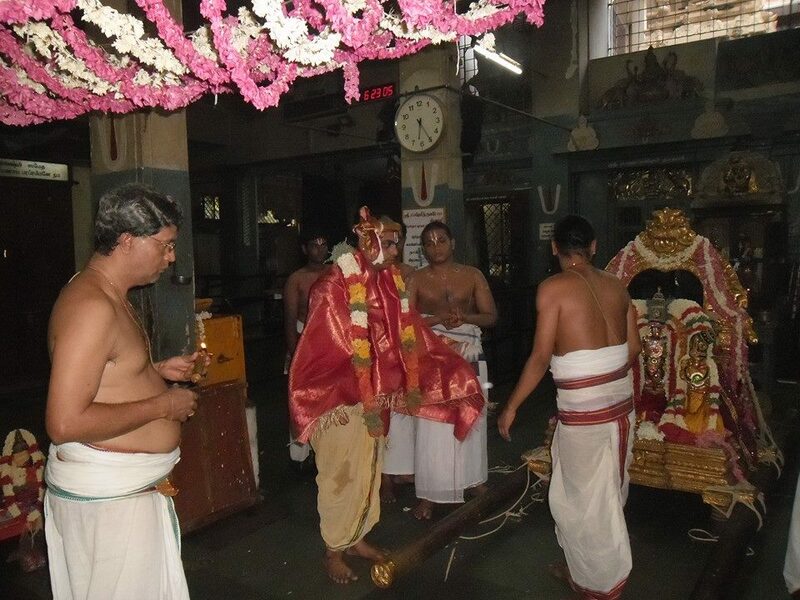 In the evening, Hamsa Vahana purappadu took place. 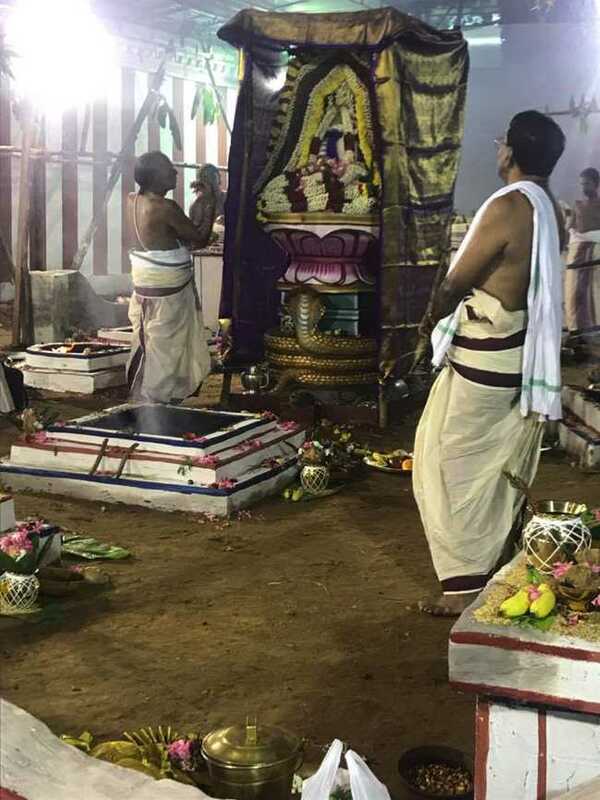 On the previous day, Purappadu for Senai Mudalvar took place grandly last evening. 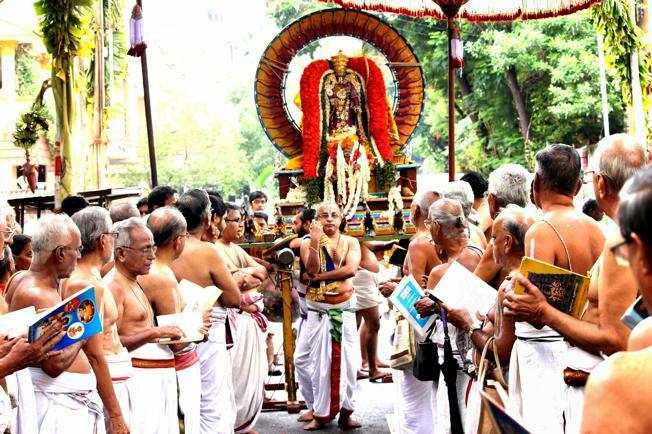 The 10-day utsavam will conclude on June 8, 2014. 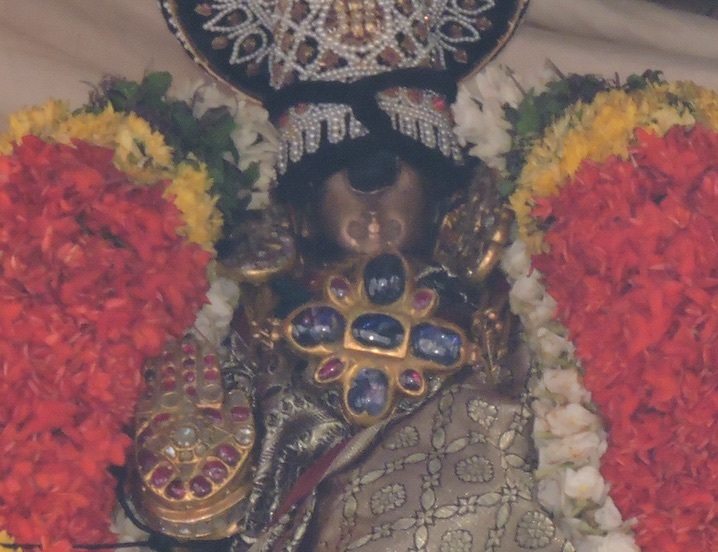 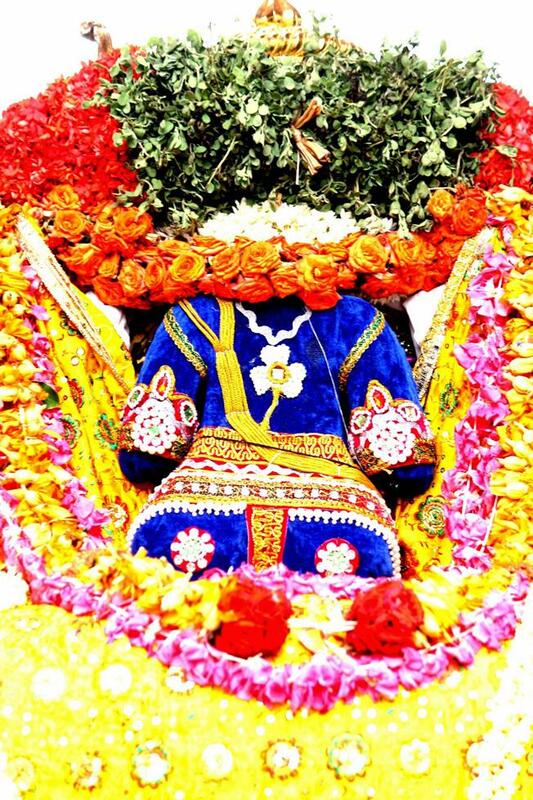 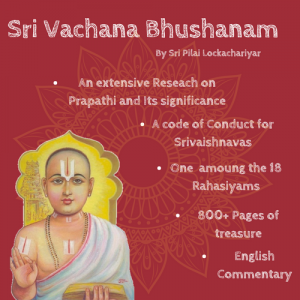 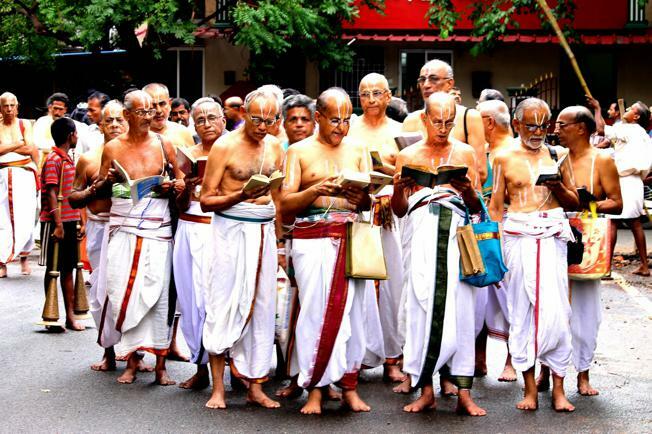 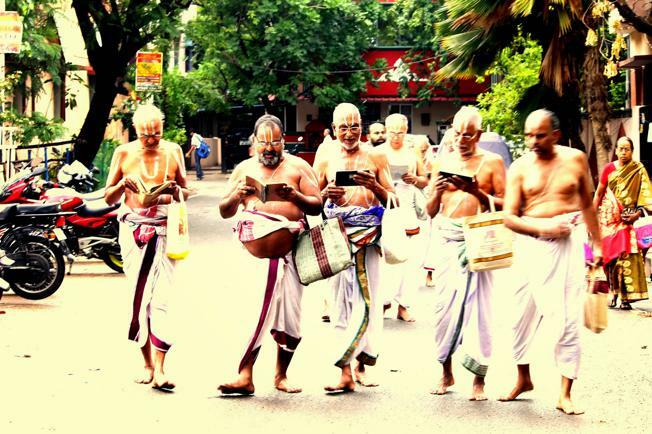 During the utsavam, Perumal will have thiruveedhi purappadu on various vahanams and alankarams. 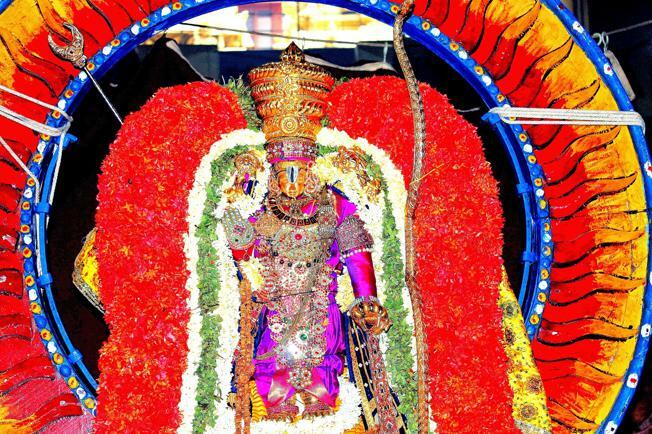 The thiruveedhis covered during the purappadu are Srinivasa (P) Street, Thambiah Street, Bhaktavatsalam Street and Arya Gowda Street.